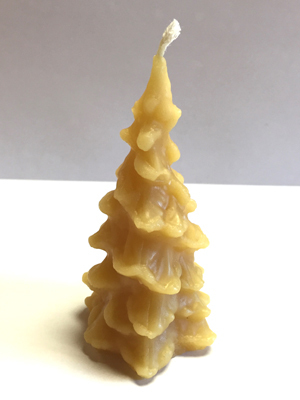 This Christmas Tree Candle is approximately 3 3/4" X 2" and is made of Pure Beeswax. Tests show that it burns approx. 3 hours.